The small group I am go to on Thursday nights has been focusing on the art of romantic relationships so it has me thinking about marriage- what a sacred thing it is and how it is easily tossed away these days. 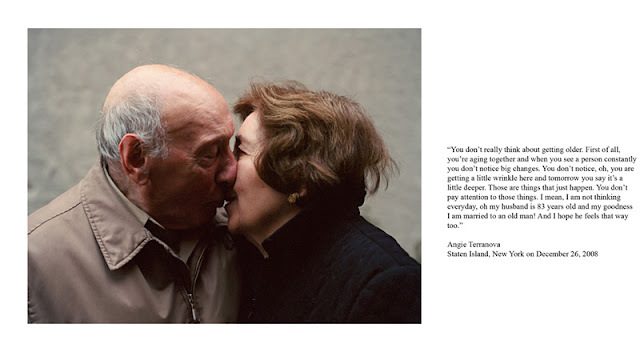 I found this photo project online by photographer Lauren Fleishman. I hope this is me and Andrew in 50 years. What stories we will have to tell- hopefully to a great big family. I think that Jeff and I will be sitting on the dock at the little house, holding hands when we are ninety! Everyone has ups and downs, you work through them not throw your relationship away! I think you and Andrew are so well suited for each other. You will never be bored with your life!